Ginsburg Charlie Lilith Fluffbutt is a wonderful kitten! She absolutely thrives on attention, and is a hilarious blur of energy for a good chunk of her day. She loves to play chase with her siblings, and wrestles with the best of them. Then everyone falls asleep in a big kitten pile in her foster mom's lap, until they purr themselves awake again. She's great with other cats, (doesn't push boundaries too much with older cats) and is unfazed by the hundred pounds of dog she's fostered with. She's reasonably tolerant of the toddler as well. 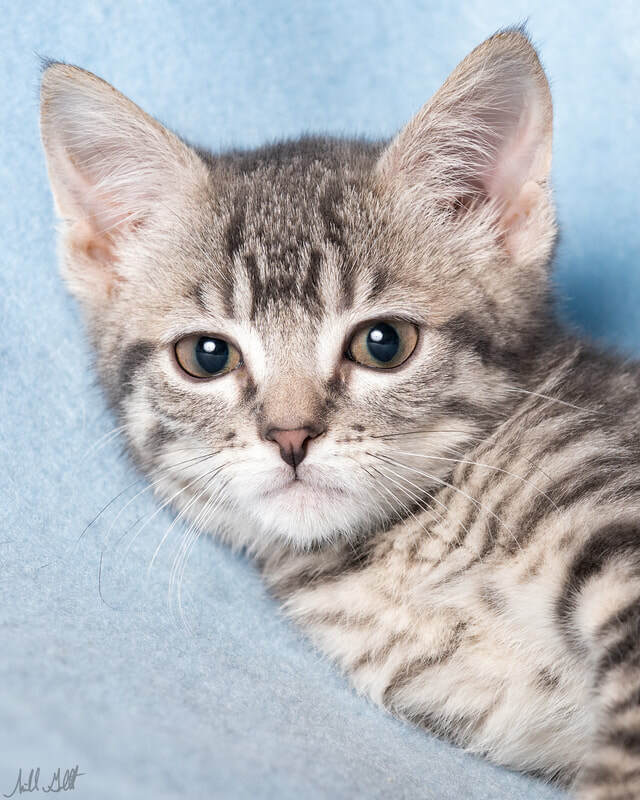 If you are looking for an absolutely delightful moonstriped kitten to add to your life, look no further than Ginsburg!